There is nothing like grilled hamburgers in the summertime. Something about them are just so delicious and scream summer. 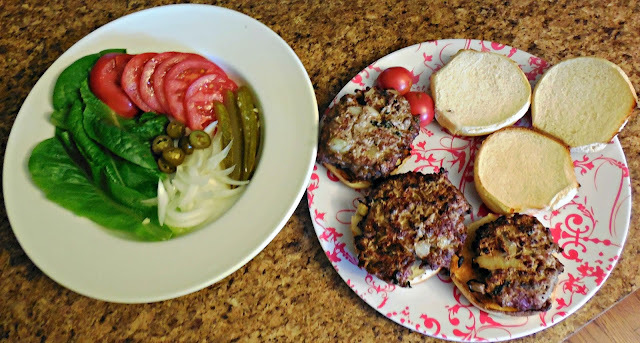 I created these lean grilled burgers for my husband and I and we both really enjoyed them. 1. Combine all ingredients and mix together well. 2. Form into 8 patties (I froze 5 of them for a later date). 3. 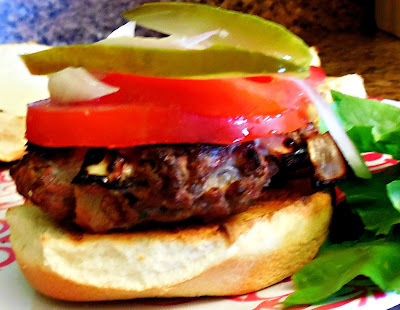 Grill on medium-high heat until your burger is cooked the way you like it. 4. Add toppings and enjoy! These burgers were tasty and filling. You could also use ground turkey or venison instead.